I was lucky enough to dine at Mark Hix‘s restaurant in London recently. His passion for sourcing local ingredients for each and every dish and drink is extraordinary! For us home cooks though, some ingredients are just plain difficult to replace and up until fairly recently, I would have suggested olive oil was one of them. Tilly Fuller from Culinary Oils told me about the company. “The business has grown from small beginnings. Today, as a farming group we cover a huge 17,000 acres of diverse and spectacular British countryside from the Scottish Borders to the Lincolnshire Wolds. Our co-operative brings together a group of like-minded farmers all working together with the shared desire to bring British produce to our dining tables. Every aspect is traceable. We can tell you the name of the man who planted the seed, the name and exact location of the field in which it was planted, how many inches of rain fell on the seed and even the names of the people who drove the tractors at harvest time! 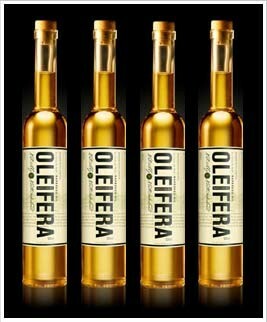 We are looking forward to encouraging more people to try the best home-grown alternative to other culinary oils and educating them about all the benefits of using Oleifera – we have some exciting plans afoot with chefs and restaurateurs to encourage locally grown oil to be used in our best eateries”. (Ed: Do tell us more …). Look out for Brilliant Borders, Naturally Northumberland and Essentially English – the three oils produced by the group – each subtly different. You can buy Oleifera at Dobbies in Lasswade or Kitchener’s Deli in Portobello or online (including catering size). Oleifera will also be at ScotHot in March. 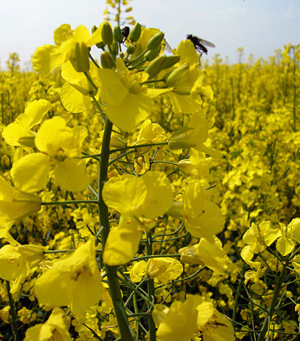 I’ve been using Rapeseed oil for a year or so now. I picked some up at one of the Food Festivals in Edinburgh – and have never looked back! I like the fact that it is local (or at least British) and can use it in place of olive oil. Peter Could you give me your mailing address you are our winner!